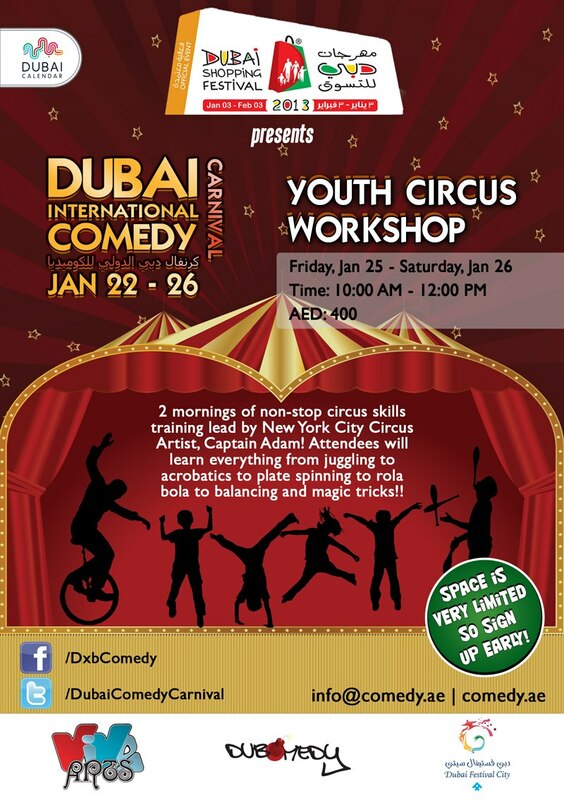 The organizers of the Dubai Shopping Festival, Dubai Events and Promotions Establishment had the idea to add laughter and smiles to the millions of visitors that attend the Dubai Shopping Festival every year. From there, a comedy festival was born, they have teamed up with the Dubomedy team and together created what will be the largest comedy event in the region featuring comedians from around the world that will bring all the cultures in Dubai to laugh together from January 22-26. 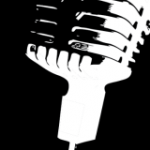 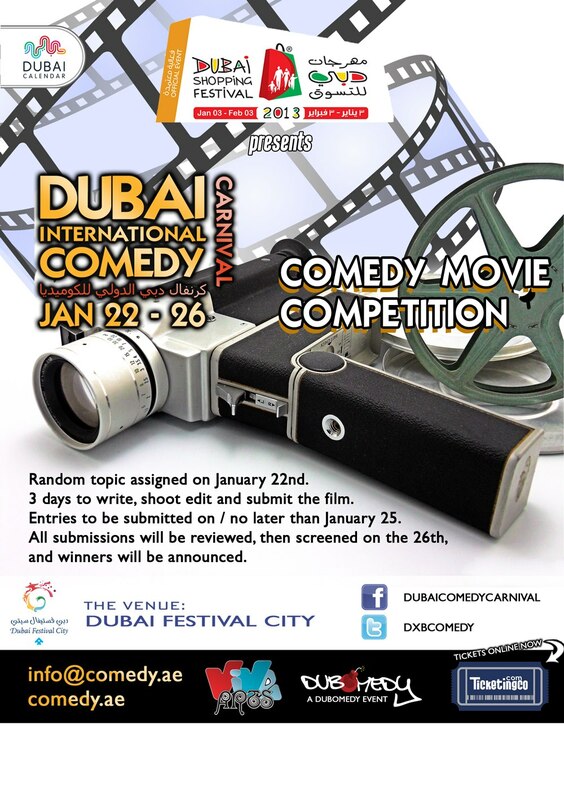 Celebrate comedy from around the world in English and Arabic! 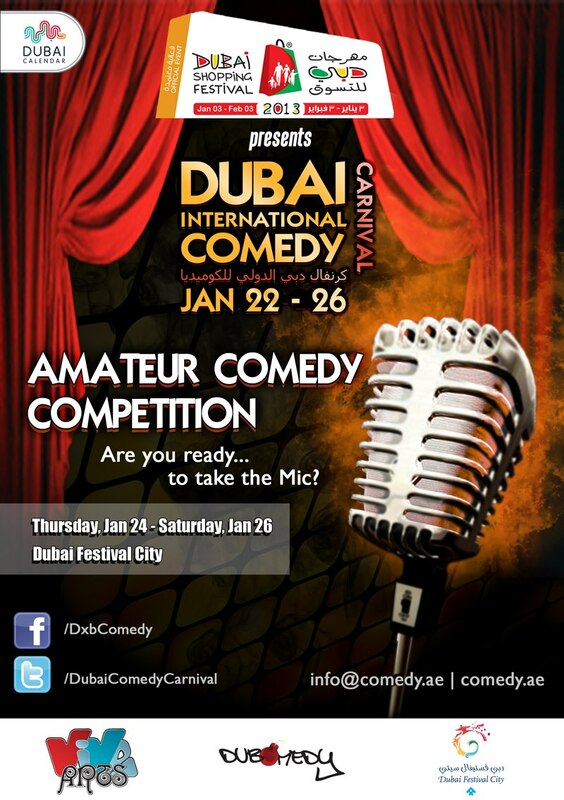 International head-liners and local comedy stars take one stage to make thousands laugh! 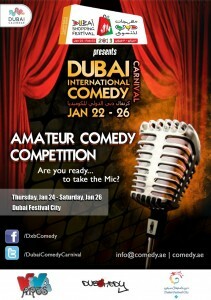 There will be 2 stages- Main Event stage and Community Carnival stage with non-stop performances and activities. 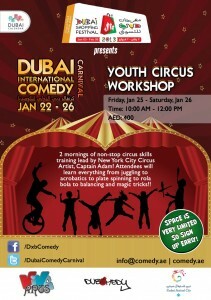 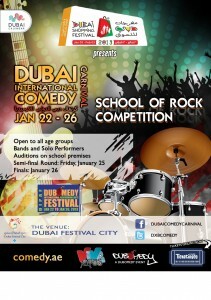 In short, Dubai’s Got Comedy Habibi… Click here to see the full schedule of the Carnival.